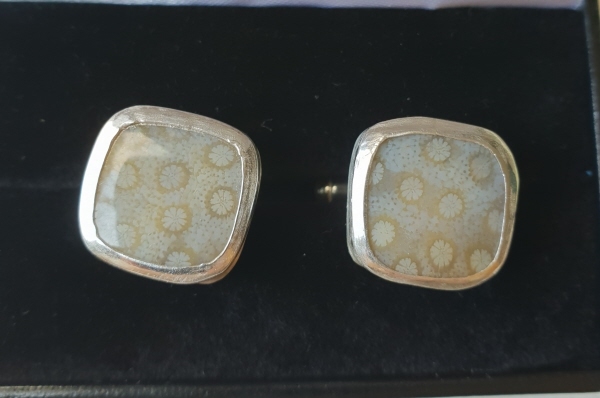 A pair of beautifully cut and polished pieces of Indonesian fossil coral have been set with custom made solid silver settings. There are some exquisite patterns and colours within the coral and and a stylish shape. The links are not only boxed but beautifully gift wrapped in tissue paper and even come with a full colour certificate of authenticity with details on the fossil coral used and also a unique holographic serial number.